on the market at affordable prices! 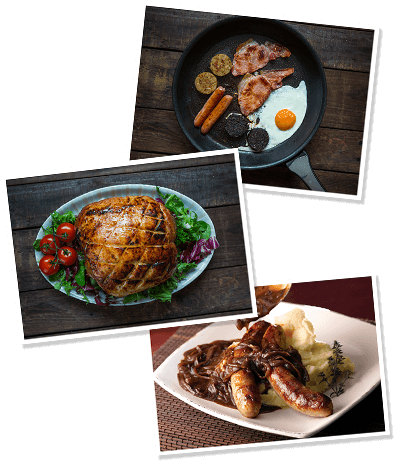 Waldron Meats manufacture, process and distribute a range of tasty products to include primal bacon joints, pork joints, rashers, sausages, black and white puddings and cooked meats. We believe ‘Taste’ and ‘Flavour’ are the distinctive hallmarks of producing a unique but competitive pork and bacon product line. The Waldron Family ‘Taste’ and ‘Flavour’ are directly attributable to our traditional slow curing process, so customers can really taste the difference. Only fully traceable 100% Irish Pork is used as the core natural ingredient in all of the Waldron Family products.